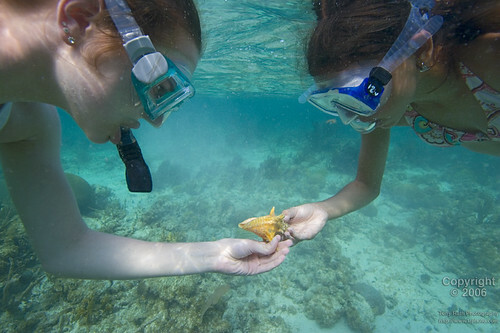 IoB-Two Young Women Looking at Conch Shell While Snorkeling at South Water Caye, Belize, originally uploaded by TRPhoto. This image is not available for use on websites, blogs or other media without the explicit written permission of the photographer. If you intend to use any of our pictures or need a print of them, PLEASE, you need to contact us first before you use any of them. Thank you.